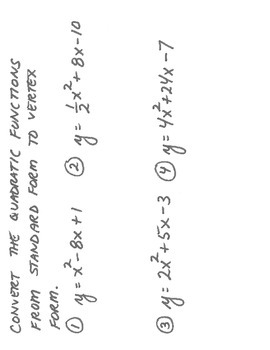 This is a lesson showing how to convert quadratic functions from Standard form to Vertex form. All problems show step-by-step procedures. 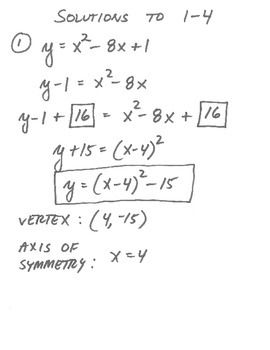 This makes for a quick lesson plan or as a reinforcement for your students.